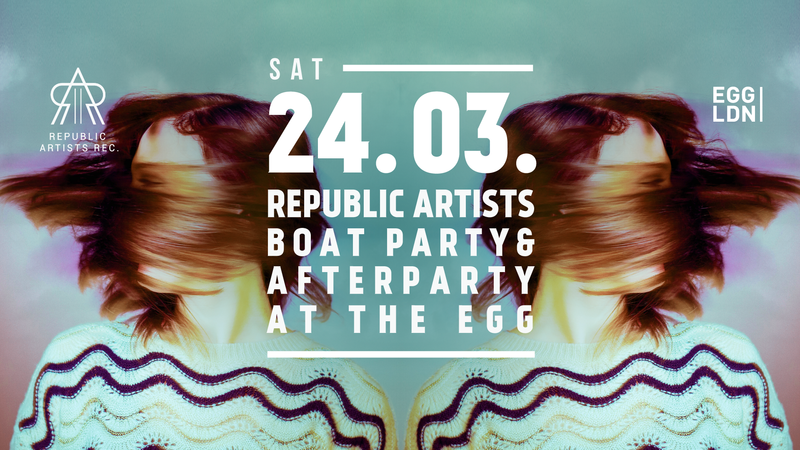 The 16-hour musical journey from House to Techno will start on the Golden Flame boat, leaving from Temple Pier at 6:30pm, and as usual, there will be a kicking after-party at EGG club. 3:00PM – 6:00PM Pre-Drink at Bar&Co. 6:30PM –10:30PM Boat party | boat departs at 6:30PM from Temple Pier, sharp! Republic Artists Records was born in 2014 to present the sound of those parties to the rest of the world.